Quick, name two of your most favorite things in the world. Wait, did you just really list watercolor “paintings of old barns” and backgammon? Really? Like, how did you get to a place in your life where those two things incite an unparalleled tingling in one’s loins? That’s just…I don’t know. See, what you were supposed to offer up were 8-bit aesthetics and horror games. Just remember that for next time. Unless, you know, you’re filling out an application for an assisted living facility, in which case your answers were spot on. Unsurprisingly, this installment’s title, The Last Door has both of those elements in spades. It’s an episodic series from The Game Kitchen, and before anybody nosily points it out; yes, I’m aware that the game is technically funded. I get that. But when a title has barely scraped past the targeted goal funding with only a few days to go…well, talk to any developer on Kickstarter about the improvements or additional content/modes/features they’d aim for with just a little extra pocket money. I mean, I see people whining all the time on message boards that the Kickstarter project they funded has fallen behind in its projected deadlines, or that it simply isn’t moving quick enough for their liking. Now, an IV of Benjamins isn’t going to remedy everything (even though South Park would have you believe that $180,000 is capable of miracles) and it’s certainly true that with smaller teams, it’s usually time and not funds that are the culprit of a title’s “fashionably late” appearance. However, if those funds will allow the developer to perhaps put down their part-time job, or hire someone to watch the kids in the afternoon, that time can be freed up more often than not. Minor soapbox-ing aside, please joining me in viewing this trailer for The Last Door…I’ll see you after the jump. Cool, right? 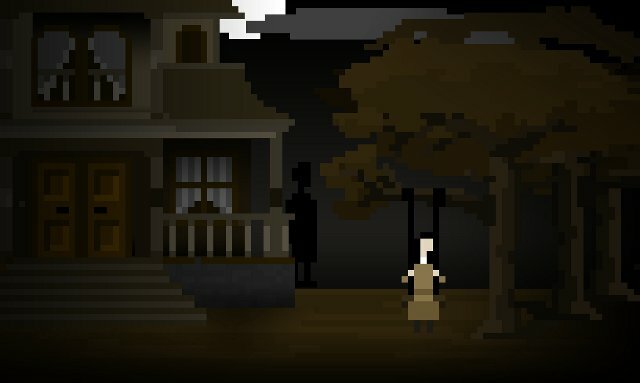 Like Alone in the Dark meets Monkey Island meets Fez. Provided, you know, that after meeting one another, they chose to make a video game. In my mind, what really helps is the fact that The Game Kitchen kept their score and sound design modern (albeit, simplistic) even though the visuals went the route of blocky minimalism. 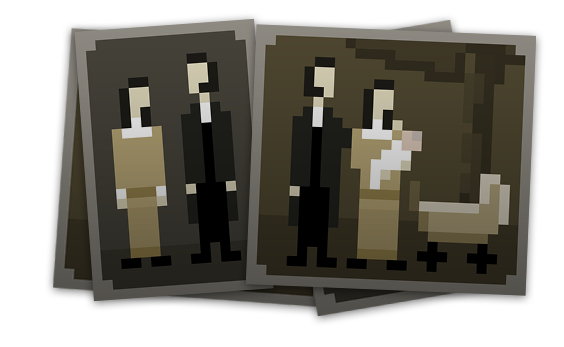 Say what you will, but pixelated faceless old-timey photos make me uncomfortable. Even better, if you want to try out a playable teaser, just head on over here, give them an e-mail address, and you can literally start playing that instant. Those who want to donate, or are interested in obtaining more information regarding the scope and intent of the project should click here, and go to their Kickstarter page.